I first heard the name in early 2006. 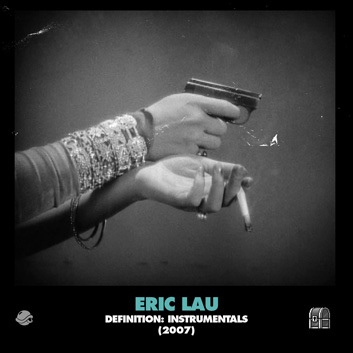 Various playlists containing Lau's beats seemed to hit me all at once. A handful of UK DJs were speaking highly of this new up and comer. A beat tape circulating that was a must have. When I finally reached his MySpace, I understood what the hype was about. I heard some of the warmest and impressive productions, sounds and swing I hadn't heard since early Jay Dee or Soulquarian record. There was a fine balance of soul and hip-hop, while some tracks would shift to one side of the spectrum, they'd hit you just as hard. Many people can fuse the elements of soul and hip-hop together, but very few can do it right. After sessions of MySpace messages, transfers of beat tapes, I was an avid fan and believer in his music. A year had passed when Lau told me he was finally ready to drop an LP. Passing this news on, it wasn't more than a month later that he got a deal. His debut "New Territories" was released on Ubiquity Records in 2008. A solid introduction with productions I'd known him for. Creating this record, Lau also introduce his impressive A&R skills, showcasing some of the finest vocalists in London with Rahel, Tawiah, Sarina Leah and Meshach Brown. All who could easily shine on a solo release. We're currenlty witnessing the makings of one of our finest producers, someone on the same playing field as a 9th Wonder or Just Blaze, who could produce for a marquee hip-hop act, the underground, while also serving beats for Mary J. Blige and Erykah Badu. I have no doubt in my mind that this should and will happen. From the archives, this is Lau's first guest mix for BTS Radio. First airing live in 2007.